Click on the application to download and print the PDF file. Privacy: Puppy Graphics, dba International Puppy respects your privacy. Our commitment to you, our customer is our priority. This privacy statement discloses the privacy practices for this site. We will never give any information about you to others without your express permission. Our site uses forms in which you give us contact information (like your name, address, and email address) so you can place orders, request information and support, and make product suggestions. We use your customer information only when it will be important for us to contact you regarding functionality changes to our products, our web site, new services, and special offers we think you'll find valuable. If you would rather not receive this information, please see the "Updating Your Information" section below on how to change your preferences. This site also contains links to other sites. Unfortunately we are not responsible for the privacy practices or the content of such Web sites. Updating Your Information: As a customer, you may alter your customer information, demographics, or opt-out of receiving communications from us at any time. We have the following options for changing and modifying your customer information. You may Email or Call us : (813) 438-4133. Contacting the Web Site: If you have any questions about our privacy statement, the practices of this site, or your dealings with this Web site, you may contact us. 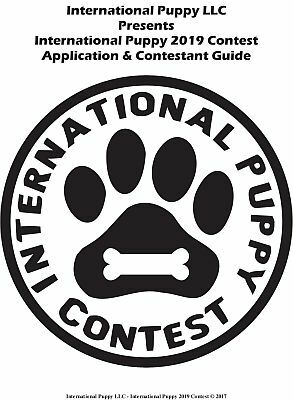 By accessing or using the information, products or services offered by Puppy Graphics, dba International Puppy or available on any Puppy Graphics, dba International Puppy website you agree to the following.